The Taihoku Air Raid (traditional Chinese and Japanese: 臺北大空襲; ; pinyin: Táiběi Dà Kōngxí; rōmaji: Taihoku Taikūshū) that took place on 31 May 1945 was the largest Allied air raid on the city of Taihoku (modern-day Taipei) during World War II. Despite efforts by Allied planners to minimize civilian casualties, many residents were killed in the raid and tens of thousands wounded or displaced. As early as 1943, Fourteenth Air Force of the United States Army Air Forces and units of the combined air force of U.S. and Nationalist China had launched several air raids against military and industrial targets in Japanese Taiwan. Before this, Soviet volunteer units and Chinese air force had attacked military bases around Taihoku, most of which were targeted on smaller objectives and were of smaller scales. After American ground forces captured Subic Bay in the Philippines, the Allied air forces began larger and more systematic air raids against targets on the island of Taiwan. After October 12, 1944, Allied air forces began scheduled air raids on factories located in Heitō (Pingtung) and Kobi (Huwei), Takao Harbor (Port of Kaohsiung), and fighter production facility in the outskirt of Takao (Kaohsiung). 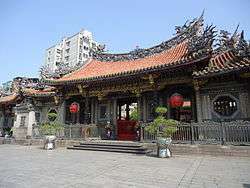 Also, Taihoku, the capital and political and financial center of Taiwan, had been under constant aerial assaults by the Allies since that time. On May 31, 1945, units of the Fifth Air Force consisting of 117 Consolidated B-24 Liberator heavy bombers were sent to conduct the largest air raid ever on Taiwan. The bombing began from around ten o'clock in the morning and lasted until one o'clock in the afternoon, during which the attack was non-stop. The Americans met virtually no resistance from the Japanese, mainly due to the attrition the Japanese air forces had suffered in the Aerial Battle of Taiwan-Okinawa, which completely exhausted Japan's fighter units in Taiwan. 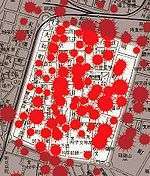 The Allies dropped approximately 3,800 bombs on military units and governmental facilities in Taihoku; many other buildings within the downtown area and Japanese quarter also suffered various damages. On 15 July 2009, two duds assumed to be dropped during this raid was found in a construction site of MRT Xinyi Line near Chiang Kai-shek Memorial Hall. Bomb-disposal units of the ROC Armed Forces safely removed them at last.